Defined by it’s broad simple curves our Catalina dining group is a silhouette void of ornamentation. 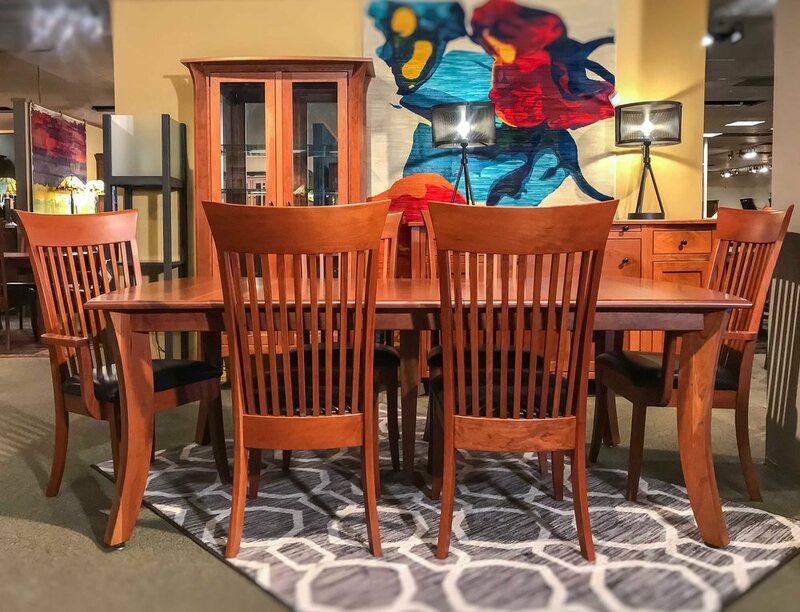 The Catalina dining table’s oversized curves have been rendered in perfect proportion to create a canvas worthy of the beauty of solid cherry wood grain. Our Curved Shaker dining chairs (typically part of more traditional dining sets) appear to bloom with a fresh organic quality here. 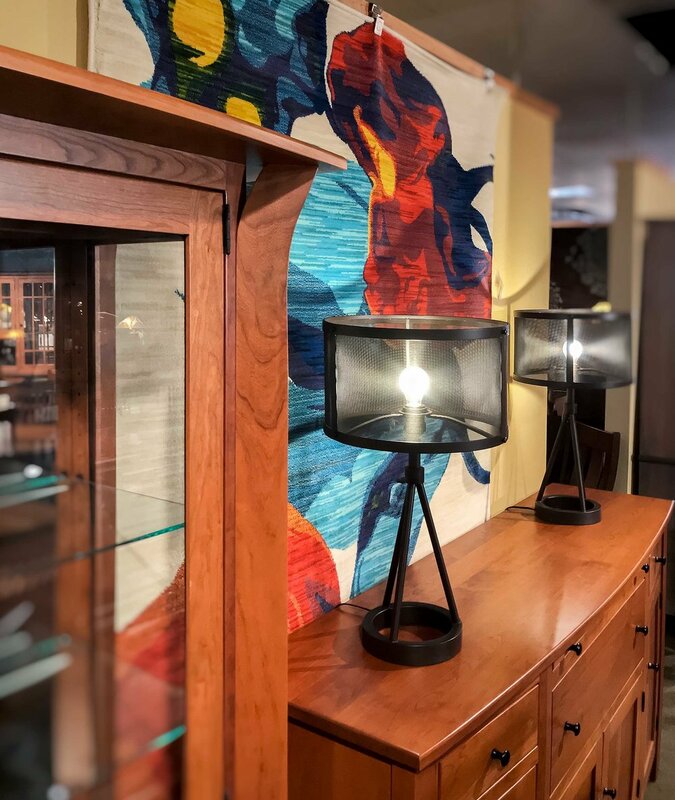 The Richland Sideboard and Galvexton Curio pair naturally with this set as dining room storage options. Our Catalina dining group is a contemporary dining set tempered with softness and warmth.